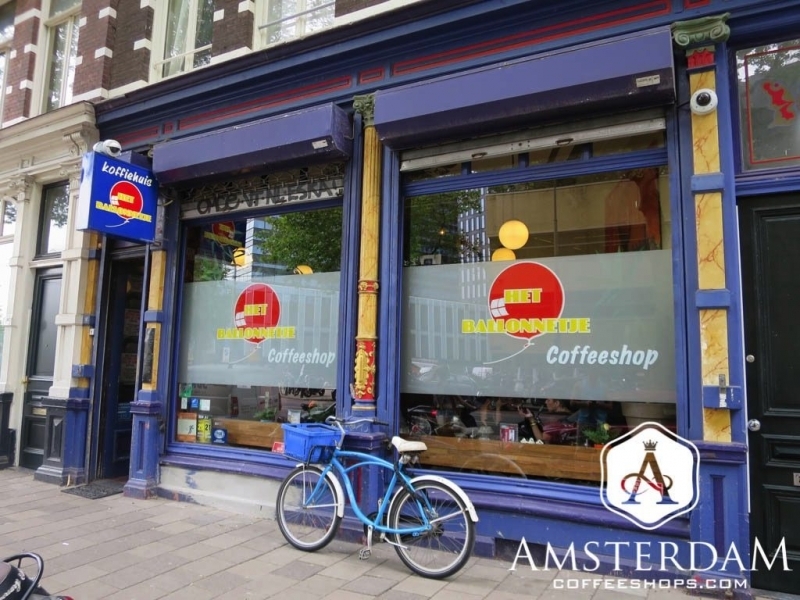 Het Ballonnetje Coffeeshop is located on Roetersstraat, just behind the University of Amsterdam. 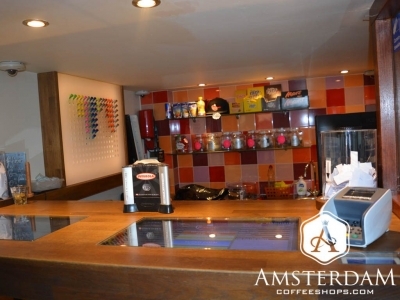 It is on the east side of the city, in a neighborhood known as the Plantage. This is one of Amsterdam’s “green neighborhoods”. It is noted for its lush parks, including the beautiful botanical gardens (Hortus Botanics). The Artis Royal Zoo (Natura Artis Magistra) which is also found here, is one of the oldest zoos in mainland Europe. This section of the city is slightly outside of the city center, and the pace seems just a bit more relaxed. Given its proximity to the University, The Plantage is also a noticeably youthful neighborhood, with a high density of students. 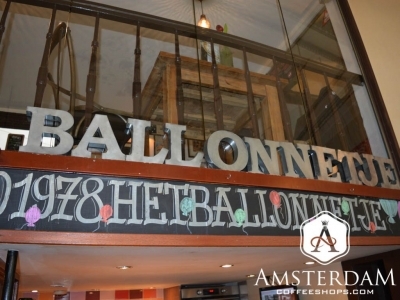 The décor in Het Ballonnetje is on the artistic-side. 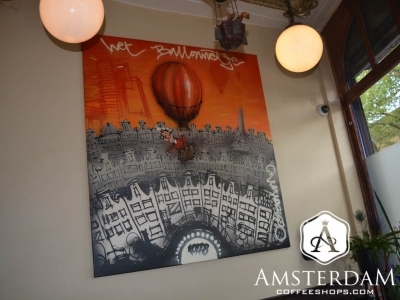 Featured is a beautiful large hand-painted mural of a person hovering over the city in a red balloon; pretty cool. The lighting is funky, and the other art and pictures add to the artsy vibe. So let us be clear. While we consider the furnishings basic, this shop is also “real”... artistic without being an over-polished tourist trap. Do not 9worry if you are a tourist. Being a historic shop, plenty of people make a special trip here, and the staff is known to be especially welcoming of visitors. 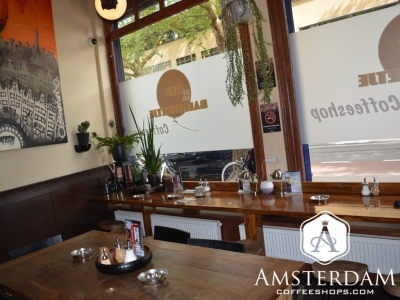 For a coffeeshop that is frequented by locals, the menu selection at Het Ballonnetje tends to be more contemporary than you would probably expect. The management here seems to be into their cannabis more so than many others, particularly the flowers (weed). While you can expect to find some old-school strains here, you should also see many modern favorites, including some popular West Coast USA strains. The quality tends to be very high. The hashish-side is quite robust, as well. 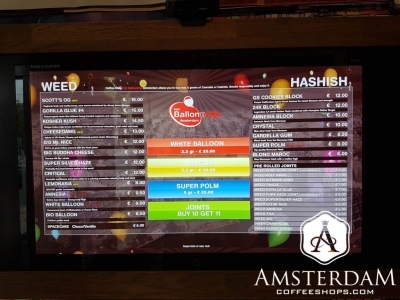 In addition, they have a large list of pre-rolled joints, along with some basic Space Cakes for edibles. 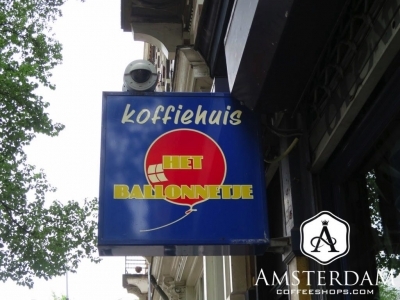 Het Ballonnetje is a historic coffeeshop in one of Amsterdam’s beautiful green neighborhoods. This is what we regard as a very “real” shop. 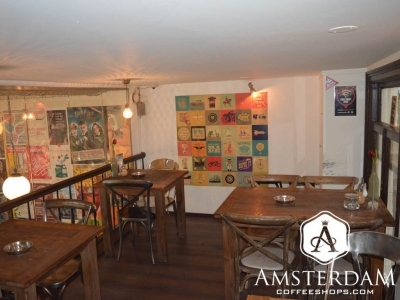 It doesn’t have a lot of frills, yet is genuinely a cool place to hang out. 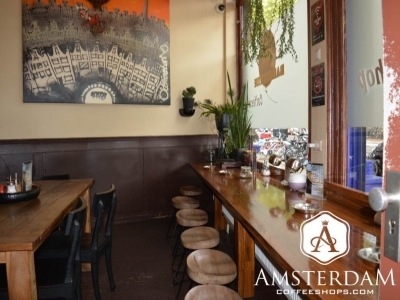 This coffeeshop is frequented mainly by locals, who likely find favor in the lack of touristy extras, as well as progressive fairly-priced menu. This is an excellent establishment, well worth a visit if you are in the area.